Planning a party? Why not arrive in style with a Chicago party bus? 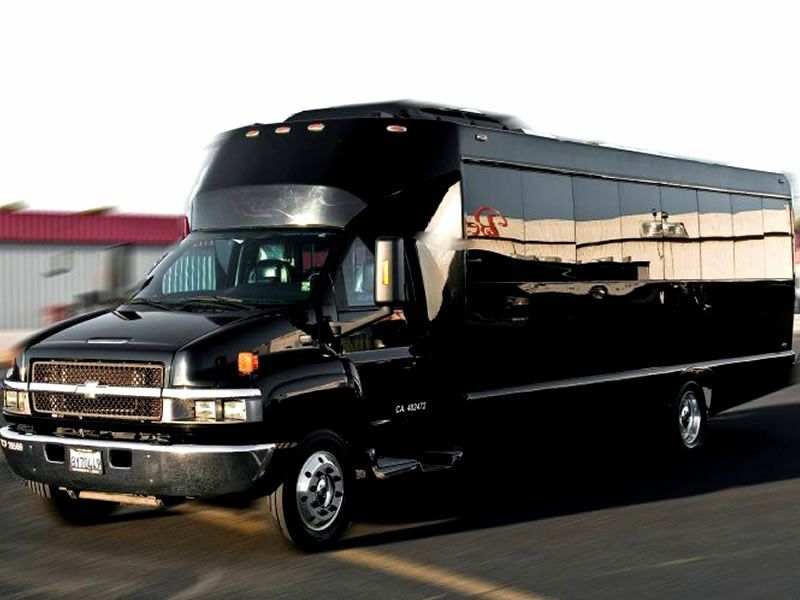 You and your 23 closest friends can dress to impress with a sleek, black party bus from Chicago Party Bus Rent as your newest accessory. Not only will we get you to and from your bash safe and sound, you don’t have to worry about traffic or even directions. Up to 24 passenger executive style Party Bus Limo with restroom, short-back chairs, TV, VCR or DVD, AM/FM stereo CD player.